This is a large property located very close to the airport. Nice rooms with all amenities. Beach view or garden view, an nn option of overwater bungalows. This resort has a nice pool and lagoon, great food and a great Marquesas show on Wednesday nights. Note that this resort is a popular place pre/post cruises and can have days where it is very busy. Get a beautiful sunset view of Moorea from this resort. Superbly located lagoon-side in 30 acres of tropical gardens with spectacular views of the soaring peaks of Tahiti’s sister Island, Moorea. 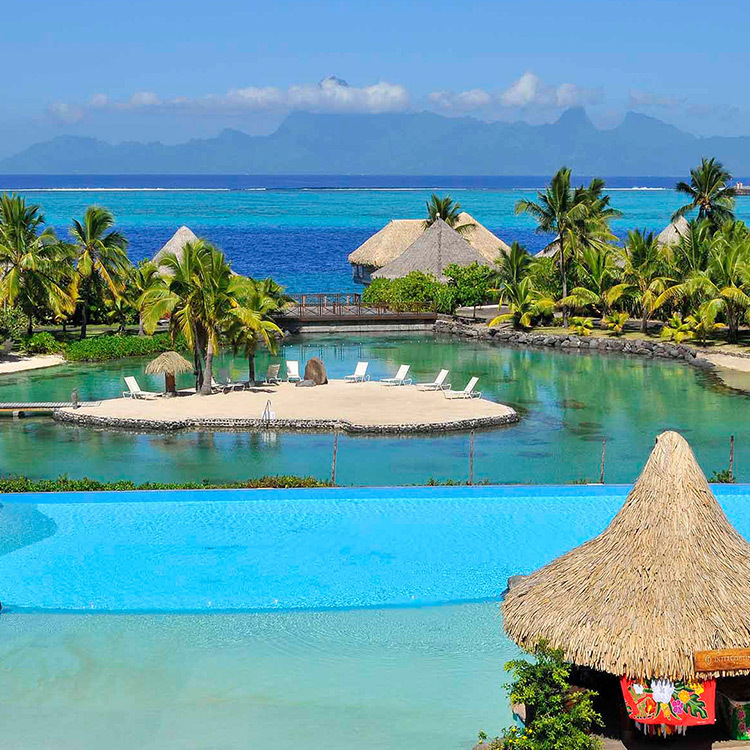 The Inter-Continental Tahiti is a romantic resort located just over 2 km from the airport. The capital and port city of Papeete is about 10 km down the road.